Wine goals: we've all got 'em, right? Whether it's to travel to great wine regions or to become an expert on a specific varietal, it's fun to set goals and tackle them. I've written about my goals on here before but I'm adding another to the list: try 100 single varietals. To some of you, 100 might sound impossible. To others, it might be child's play. For me, it's both challenging and attainable, making it a worthy personal goal. So a few weeks ago, I flipped through my Delectable log, old pictures, and my memory to make a list of single varietals that I have tried. Turns out I was already at 48—almost halfway there! Time to cross out #49 and #50! Dying to know which varietals I've tried? Scroll to the bottom for my full list! I love trying new varietals so I have a lot of options on hand, including Carignan, Sylvaner, Xinomarvo, and Aglianico. But I decided to save those for another day, opting to pop open Cinsault and Frappato for a few reasons. One, both are fruity reds that are typically found in blends, not single varietals. Two, the bottles I had were organic, which I always appreciate. And three, both cost me less than $20. Check, check, check! Located in Vittoria, Sicily, Feudo di Santa Tresa produces organic wines from typical Sicilian grapes like Frappato, Grillo, and Nero d'Avola. 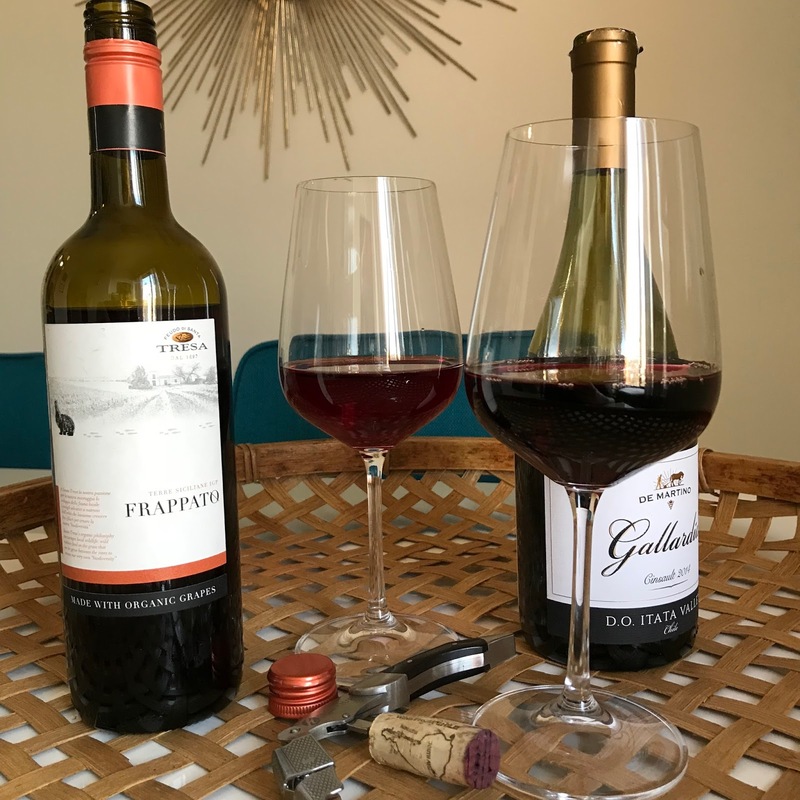 Sicily is one of my favorite wine regions so I was very excited to try this Frappato. Thankfully it did not disappoint! Did I just meet my new favorite summer red? This juicy Frappato is bursting with bright strawberries, red cherries, red grapes, and electric acidity. There are also hints of cinnamon, white pepper, and sea salt. Definitely serve chilled. Purchased from wine.com for $14.99. This Cinsault is smoother and richer than the Frappato but matches its yumminess. If you prefer bold reds but want something lighter for summer, this could be a great pick for you. Flavors here include darker red berries like ripe strawberry, punchy raspberry, and a faint earthiness. It has soft but present tannins and electric acidity. I think this would be nice with a slight chill, too. Purchased from wine.com for $18.99. Want to join me on the quest for 100? Make your list and get in touch with me! Three Criteria for Picking Your Own "House Wine"